If you try to add a client application to a solution containing server applications, will get this error.. The .NET Framework 4 Client Profile was chosen as the default for client-side applications that don't require access to features like ASP.NET. Basically .NET Framework 4 Client Profile is a subset of the .NET Framework 4 that is optimized for client applications. 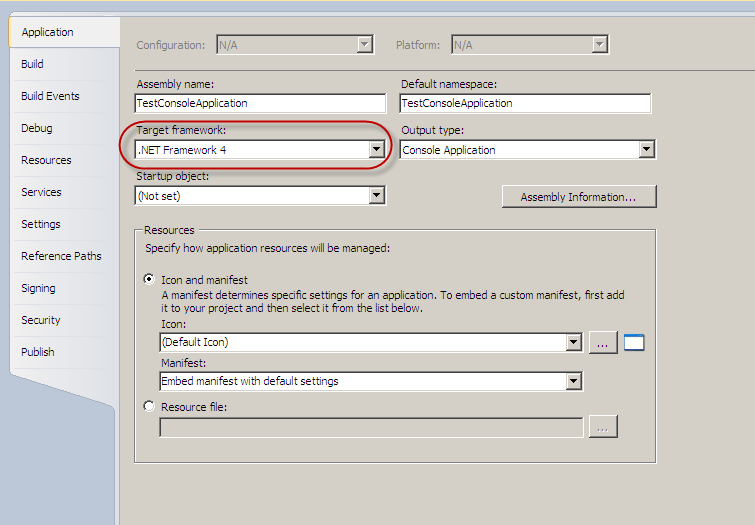 Change Target framework from ".Net Framework 4 Client Profile" to ".Net Framework 4"